Every year our youth group has the opportunity to go away to CDYC. What does CDYC stand for you may ask? We jokingly tell our group that it stands for fun. Well that is partially the truth; we have a load of fun while we are there. It reality it stands for Central District Youth Convention (or Conference depending on who you ask). The district our church is in hosts it every single year. The past few years it has been at Indiana Wesleyan University, only a short distance from where we are located. So it’s just another youth summer camp, right? Well sort of, but for us it is usually much more. You wouldn’t have to talk to the students who attend for very long before hearing stories of how much they enjoy going, and what they take away each year. This year was no exception. The 10 day marathon is split into junior and senior high with a short break in between. Usually enough time to come home, do laundry, sleep, and head back out. In all honesty it is a lot of work. For me it requires many hours of preparation, promotion, and the dreaded registration. If you have ever held an event and had to track down permission slips and money you know the feeling. With the complexity of this particular event, think sports teams for multiple sports, talent contest, rooming, t-shirts, and so on it can get complicated in a hurry. So once we are done chasing down all of the registration and get the mound of paperwork processed we then go and chase a few more students down and get them to go as well. At least this has been the running pattern since I have been attending. In addition to the prep there is the time involved just attending. This is a big commitment and while this is part of “my job” it still requires time away from my family. We also have an amazing group of adults who volunteer their time to attend with us. So with all of the time, emotion, and money invested is it all worth it. I am thankful that the answer to this is yes. CDYC is an incredible opportunity for our students to detach from their routine and normal influences and step back to get some perspective. Every year I am in awe of how God moves within our group. It doesn’t stop with the teens either. It seems there is something for adults to if you are willing to engage and really allow God to move on your life as well. I’m sure CDYC isn’t all that different from the multitude of summer camps out there but for us it makes a big difference in all of our lives. This year I was so moved to see our teens care for each other so deeply. They more than ever seemed attuned to needs of others and were willing to show compassion, so gracefully. The last night at CDYC our group takes the time to pray for each student in our group. Our adult leaders and students pray and say encouraging words to every student. It was touching to hear the relationships that have developed between these students. To hear them genuinely encourage them, and pray for them is nothing short of amazing. In a society that we rarely slow down enough to recognize our own issues it is a rarity to see teens caring for one another so tenderly. So much happens in those ten days that I would have to post every single day when I was there to give you all of the details. We have a lot of fun, play volleyball, basketball, and ping pong. Students use their talent in competition and sing and play instruments. They also submit their own artwork and photography. We have an absolute amazing time in worship. The speakers always have great things to say and impart to our students. The group times in the evening with our own group are one of the highlights. We have a great time connecting with each other even while eating meals together. It is an absolutely jammed packed event. 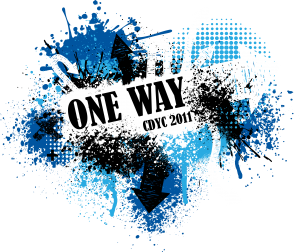 CDYC has been and continues to be a vital part of our youth ministry. I am thankful for everyone who puts the time and effort into making it happen. There are so many hours behind the scenes it is unbelievable. I am thankful for an event that isn’t about numbers, money, an image or anything else. It is simply there to support the local youth ministries, and for that I am exceedingly thankful. In the end it is my prayer that students take what they garner at CDYC and apply it to their lives. Home is where the growth really takes place. It is easy to follow after God in an environment such as CDYC. The challenge takes place when we return back to those familiar surroundings, relationship, and temptations. While some may stumble, or choose not to change I have seen some who have made the step towards growth. There are those who get back up and keep trying. I am honored to be a part of students’ lives. Youth ministry can be a very difficult place to be. If you don’t believe me take a look at the stats for the average tenure of a youth pastor. What takes place at CDYC every year and there after reminds me and all of our adult leaders what is at stake. Teens, who need relationship with God and each other. Are you willing to reach out? Here is what a few students from RSM had to say about CDYC this year.